his is the first U.S. museum exhibition of mirror works and drawings by Iranian artist Monir Shahroudy Farmanfarmaian (b. Qazvin, Iran, 1924). Considered in relation to the Guggenheim’s historical commitment to abstraction, this presentation examines the artist’s rich body of work in its own right and as part of a transnational perspective on artistic production and its reception. 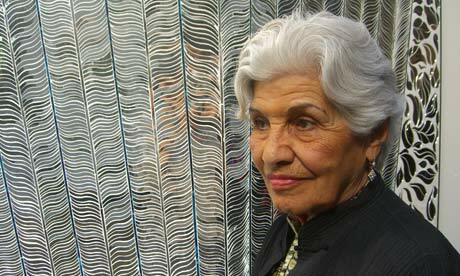 After formative years in New York from 1945 to 1957, during which she met artists Milton Avery, Willem de Kooning, Joan Mitchell, Louise Nevelson, Barnett Newman, and, later, Andy Warhol, among others, Monir returned to Iran. There, she further developed her artistic sensibility through encounters with traditional craftsmanship, indigenous art forms such as Turkoman jewelry and clothing, coffee house paintings, and the technique of reverse-glass painting, resulting in a period of artistic discovery that culminated in commissions in Iran and exhibitions in Europe and the United States. 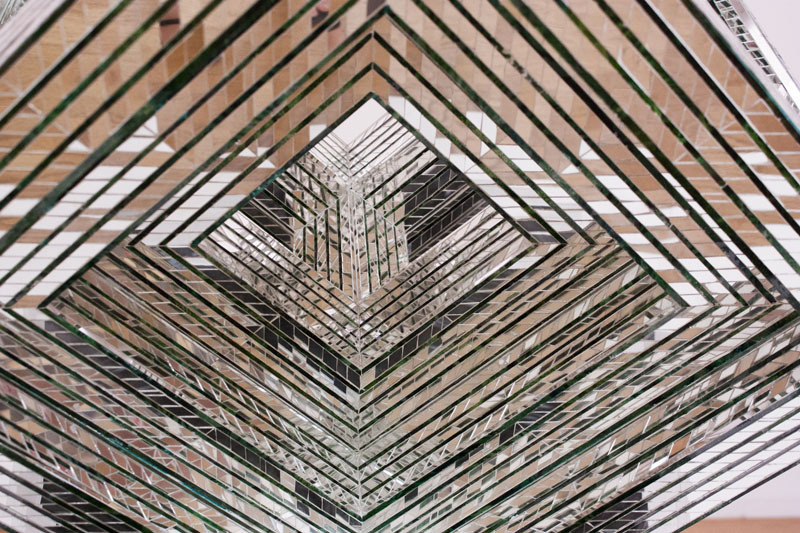 The Islamic Revolution in 1979 marked the beginning of Monir’s 26-year exile in New York, during which she focused on drawing, collage, commissions, and carpet and textile design. In 2004, when she finally returned to Iran, she re-established her studio there and resumed working with some of the same craftsmen she had collaborated with in the 1970s. This exhibition is organised by Suzanne Cotter, Director, Fundação de Serralves–Museu de Arte Contemporânea, Porto, Portugal, with Karole Vail, Associate Curator, Solomon R. Guggenheim Museum.